Slobbering Sting fans would love this and to keep in their collection. 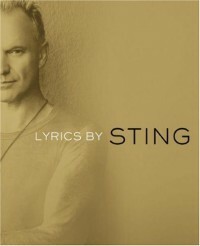 But for everyone else, it's just a book of lyrics from The Police and Sting's solo career that includes a short summary from the man himself describing how each song came to be. The book would have been much better to include larger, glossy shots of Sting, but instead every few pages will include tiny black and whites.